The "Siegfried Line", known in German as the Westwall, was a German defensive line built during the 1930s opposite the French Maginot Line. It stretched more than 630 km (390 mi); from Kleve on the border with the Netherlands, along the western border of the old German Empire, to the town of Weil am Rhein on the border to Switzerland - and featured more than 18,000 bunkers, tunnels and tank traps. Operation Market Garden was an unsuccessful World War II military operation fought in the Netherlands from 17 to 25 September 1944, planned and predominantly led by the British Army. Its objective was a series of nine bridges that could have provided an Allied invasion route into Germany. 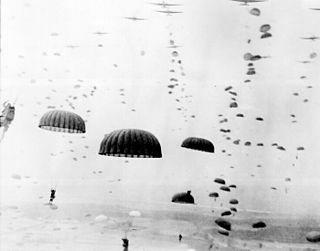 Airborne and land forces succeeded in the liberation of the Dutch cities of Eindhoven and Nijmegen, but at the Battle of Arnhem were defeated in their attempt to secure the last bridge, over the Rhine. The Lower Rhine flows from Bonn, Germany, to the North Sea at Hoek van Holland, Netherlands ; alternatively, Lower Rhine may refer to the part upstream of Pannerdens Kop, excluding the Nederrijn. Supreme Headquarters Allied Expeditionary Force (SHAEF), under the command of General Dwight D. Eisenhower, set their sights on the occupation of the Ruhr, Germany's industrial heartland. General George S. Patton's Third Army was given the task of occupying the French region of Lorraine,   while General Courtney Hodges's First Army was ordered to break through the front near Aachen. Hodges had initially hoped to bypass the city itself, believing it to be held only by a small garrison, which would presumably surrender once isolated. Supreme Headquarters Allied Expeditionary Force was the headquarters of the Commander of Allied forces in north west Europe, from late 1943 until the end of World War II. U.S. General Dwight D. Eisenhower was the commander in SHAEF throughout its existence. The position itself shares a common lineage with Supreme Allied Commander Europe and Atlantic, but they are different titles. Dwight David "Ike" Eisenhower was an American army general and statesman who served as the 34th president of the United States from 1953 to 1961. During World War II, he was a five-star general in the United States Army and served as supreme commander of the Allied Expeditionary Forces in Europe. He was responsible for planning and supervising the invasion of North Africa in Operation Torch in 1942–43 and the successful invasion of France and Germany in 1944–45 from the Western Front. 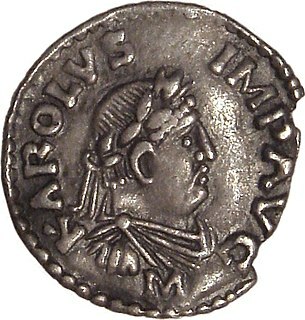 Charlemagne or Charles the Great, numbered Charles I, was King of the Franks from 768, King of the Lombards from 774, and Holy Roman Emperor from 800. He united much of western and central Europe during the Early Middle Ages. He was the first recognised emperor to rule from western Europe since the fall of the Western Roman Empire three centuries earlier. 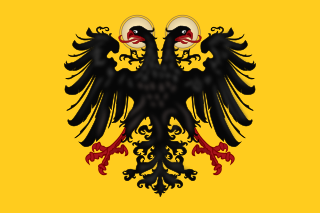 The expanded Frankish state that Charlemagne founded is called the Carolingian Empire. He was later canonized by Antipope Paschal III. Dragon's teeth are square-pyramidal fortifications of reinforced concrete first used during the Second World War to impede the movement of tanks and mechanised infantry. The idea was to slow down and channel tanks into killing zones where they could easily be disposed of by anti-tank weapons. The 116th Panzer Division, also known as the "Windhund (Greyhound) Division", was a German armoured formation that saw combat during World War II. Gerhard von Schwerin was a German General der Panzertruppe during World War II. Panzergrenadier, shortened as PzGren (modern) or PzG (WWII), is a German term for motorised or mechanized infantry – that is, infantry transported in combat vehicles specialized for such tasks – as introduced during World War II. It is used in the armies of Austria, Germany and Switzerland. German grenadiers patrol near Aachen, Germany. Franz Oppenhoff was appointed Mayor of Aachen by the Allies on 31 October, but after his identity was leaked, he was assassinated on Heinrich Himmler's orders in Unternehmen Karneval (Operation Carnival) on March 25, 1945. ↑ Lindale, Paul. "The WWII 300th Combat Engineers". www.300thcombatengineersinwwii.com. Retrieved 21 October 2018. ↑ Video: Allies Set For Offensive. Universal Newsreel. 1944. Retrieved 21 February 2012. ↑ Whitlock (2008), p. 36; Hitler considered Charlemagne's Holy Roman Empire the First Reich. ↑ Ferrell (2000), p. 32, claims it was a panzer corps; Whiting (1976), pp. 114–115, clarifies that this was the 1st Panzer Battalion of the 1st SS Panzer Division. ↑ Stanton, Shelby, World War II Order of Battle: An Encyclopedic Reference to U.S. Army Ground Forces from Battalion through Division, 1939-1946, Stackpole Books (Revised Edition 2006), p. 105; other details of US unit commitments at Aachen can also be found on pp. 50, 51, and 76 of the same volume. The Battle of Kursk was a Second World War engagement between German and Soviet forces on the Eastern Front near Kursk in the Soviet Union, during July and August 1943. The battle began with the launch of the German offensive, Operation Citadel, on 5 July, which had the objective of pinching off the Kursk salient with attacks on the base of the salient from north and south simultaneously. After the German offensive stalled on the northern side of the salient, on 12 July the Soviets commenced their Kursk Strategic Offensive Operation with the launch of Operation Kutuzov against the rear of the German forces in the northern side. On the southern side, the Soviets also launched powerful counterattacks the same day, one of which led to a large armoured clash, the Battle of Prokhorovka. On 3 August, the Soviets began the second phase of the Kursk Strategic Offensive Operation with the launch of Operation Polkovodets Rumyantsev against the German forces in the southern side of the Kursk salient. The Battle of Hürtgen Forest was a series of fierce battles fought from 19 September to 16 December 1944 between American and German forces on the Western Front during World War II in the Hürtgen Forest, a 140 km2 (54 sq mi) area about 5 km (3.1 mi) east of the Belgian–German border. It was the longest battle on German ground during World War II, and is the longest single battle the U.S. Army has ever fought. Operation Epsom, also known as the First Battle of the Odon, was a British Second World War offensive that took place between 26 and 30 June 1944, during the Battle of Normandy. The offensive was intended to outflank and seize the German-occupied city of Caen, an important Allied objective, in the early stages of Operation Overlord, the Allied invasion of north-west Europe. The Battle of Kasserine Pass was a battle of the Tunisia Campaign of World War II that took place in February 1943. Kasserine Pass is a 2-mile-wide (3.2 km) gap in the Grand Dorsal chain of the Atlas Mountains in west central Tunisia. Operation Citadel was a German offensive operation against Soviet forces in the Kursk salient during the Second World War on the Eastern Front that initiated the Battle of Kursk. The deliberate defensive operation that the Soviets implemented to repel the German offensive is referred to as the Kursk Strategic Defensive Operation. The German offensive was countered by two Soviet counter-offensives, Operation Polkovodets Rumyantsev and Operation Kutuzov. 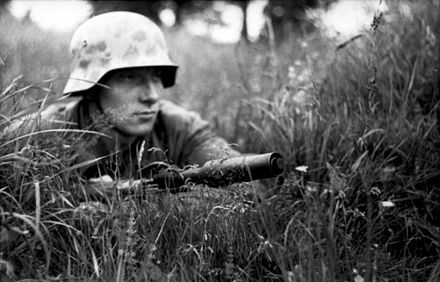 For the Germans, the battle was the final strategic offensive that they were able to launch on the Eastern Front. As the Allied invasion of Sicily began Adolf Hitler was forced to divert troops training in France to meet the Allied threats in the Mediterranean, rather than use them as a strategic reserve for the Eastern Front. Germany's extensive loss of men and tanks ensured that the victorious Soviet Red Army enjoyed the strategic initiative for the remainder of the war. The 45th Infantry Division was an infantry division of the United States Army, part of the Oklahoma Army National Guard, from 1920 to 1968. Headquartered mostly in Oklahoma City, the guardsmen fought in both World War II and the Korean War. The 10th Panzer Division was a formation of the German Army during World War II. It was formed in Prague in March 1939, and served in the Army Group North reserve during the invasion of Poland of the same year. The division participated in the Battle of France in 1940, including the Siege of Calais, and in Operation Barbarossa attached to Army Group Center in 1941. The 9th Panzer Division was a panzer division of the Wehrmacht Army during World War II. 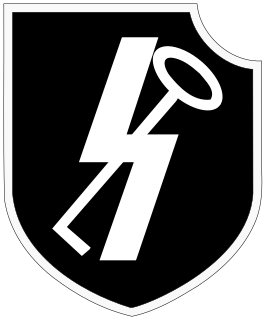 It came into existence after 4th Light Division was reorganized in January 1940. 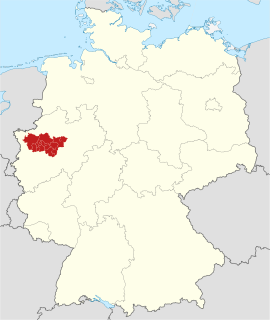 The division was headquartered in Vienna, in the German military district Wehrkreis XVII. The Lvov–Sandomierz Offensive or Lvov-Sandomierz Strategic Offensive Operation was a major Red Army operation to force the German troops from Ukraine and Eastern Poland. Launched in mid-July 1944, the Red Army achieved its set objectives by the end of August. The 7th Panzer Division was an armored formation of the German Army in World War II. It participated in the Battle of France, the invasion of the Soviet Union, the occupation of Vichy France, and on the Eastern Front until the end of the war. The 7th Panzer Division is sometimes known by its nickname, Ghost Division. The 44th Infantry Division was formed on 1 April 1938 in Vienna, about two weeks after the Anschluss of Austria. It first saw combat at the start of the war in the Invasion of Poland, and also took part in the Battle of France in 1940. After a 9-month period of coastal defence the division was transferred East. On 22 June 1941, the division took part in the invasion of the Soviet Union, attached to Army Group South. It remained in the east after the failure of "Operation Barbarossa", taking part in defensive actions for the winter against the Soviet Army offensives near Izum and Karkov. Refurbished, the division participated in the German summer offensive, and was subsequently destroyed with the 6th Army at Stalingrad in January 1943. The Wehrmacht forces for the Ardennes Offensive were the product of a German recruitment effort targeting German males between the ages of 16 and 60, to replace troops lost during the past five months of fighting the Western Allies on the Western Front. Although the Wehrmacht was keeping the Allied forces contained along the Siegfried Line, the campaign had cost the Wehrmacht nearly 750,000 casualties, mostly irreplaceable. However, the rapid advance of the Allied armies in August and September after Operation Overlord had created a supply problem for the Allies. By October, the progress of the Western Allies' three army groups had slowed considerably, allowing the Germans to partly rebuild their strength and prepare for the defense of Germany itself. Adolf Hitler, the German leader, decided that the only way to reverse his fortunes would be to launch a counter-offensive on the Western Front, forcing both the United States and Great Britain to an early peace, and allowing the Wehrmacht to shift its forces to the Eastern Front, where it could defeat the much larger Soviet Red Army. 133rd Armoured Division Littorio or 133° Divisione Corazzata Littorio (Italian) was an armoured division of the Italian Army during World War II. The division was formed in 1939 from the Infantry Division Littorio that had taken part in the Spanish Civil War. It was a reserve unit during the invasion of France when it attacked through the Little St Bernard Pass, which was halted by the French defenders. It then took part in the Invasion of Yugoslavia, fighting at Mostar and Trebinje. It was sent to North Africa in the spring of 1942 where it fought until it was destroyed at the Second battle of El Alamein in November 1942. The Battle of Rzhev in the Summer of 1942 was part of a series of battles that lasted 15 months in the center of the Eastern Front. It is known in Soviet history of World War II as the First Rzhev–Sychyovka Offensive Operation, which was defined as spanning from 30 July to 23 August 1942. However, it is widely documented that the fighting continued undiminished into September and did not finally cease until the beginning of October 1942. The Red Army suffered massive casualties for little gain during the fighting, giving the battle a notoriety reflected in its sobriquet: "The Rzhev Meat Grinder". John Francis Regis "Jeff" Seitz was a career United States Army officer who retired as Deputy Commander of the First United States Army in 1966 at the grade of major general. Seitz graduated from the United States Military Academy at West Point, New York, in 1929. He served in several assignments before commanding a battalion at Schofield Barracks at Oahu, Hawaii on December 7, 1941 during the Japanese attack on Pearl Harbor. After the United States entered the Second World War, Seitz served in important staff positions from early 1942 to late 1943. He was highly decorated for his service as colonel commanding the 26th United States Infantry Regiment in combat in the European Theater of World War II for most of the remainder of the war, which was especially distinguished. Spiller, Roger J., ed. (1991). Combined Arms in Battle Since 1939. U.S. Army Command and General Staff College Press. OCLC 25629732. Archived from the original on 15 May 2007.
the ed. of Command magazine (1995). Hitler's Army: The Evolution and Structure of German Forces, 1933–1945. Conshohocken, PA: Combined Books Inc. ISBN 0-938289-55-1. Ambrose, Stephen E. (1997). Citizen Soldiers: The U.S. Army From the Normandy Beaches to the Bulge to the Surrender of Germany. New York City, New York: Simon & Schuster. ISBN 0-684-81525-7. Ambrose, Stephen E. (1998). Victors. New York City, New York: Simon & Schuster. ISBN 0-684-85628-X. Cooper, Matthew (1978). The German Army 1933-1945. Lanham, Maryland: Scarborough House. ISBN 0-8128-8519-8. Ferrell, Bruce K. (November–December 2000). "The Battle of Aachen". ARMOR magazine . Fort Knox, Kentucky: US Army Armor Center. ISSN 0004-2420. Archived from the original on 2016-06-13. Mansoor, Peter R. (1999). The GI Offensive in Europe: The Triumph of American Infantry Divisions, 1941–1945. Lawrence, Kansas: Kansas University Press. ISBN 0-7006-0958-X. Rule, Richard (April 2003). "Bloody Aachen". Military Heritage. Herndon, Virginia: Sovereign Media. 4 (5). ISSN 1524-8666. Stanton, Shelby. World War II Order of Battle: An Encyclopedic Reference to U.S. Army Ground Forces from Battalion through Division, 1939-1946. Stackpole Books. ISBN 978-0-8117-0157-0. Whiting, Charles (1976). Bloody Aachen. Briarcliff Manor, New York: Stein and Day. Whitlock, Flint (December 2008). "Breaking Down the Door". WWII History. Herndon, Virginia: Sovereign Media. 7 (7). ISSN 1539-5456. Yeide, Harry (2005). The Longest Battle: September 1944 to February 1945. St. Paul, MN: Zenith Press. ISBN 0-7603-2155-8. Wikimedia Commons has media related to Battle of Aachen . Gabel, Christopher R. "Knock 'Em All Down": The Reduction of Aachen, October 1944. Combat Studies Institute, United States Army Command and General Staff College.